Father Shoemaker ( like the maker of shoes in the textiles industry) also announced yesterday in a sermon at Holy Comforter Episcopal Church that people have to get along with others from other backgrounds and races - because the church is 99.9% white and Klan oriented with a few Klan leaders within that church. Shoemaker also knows about the Mexicans in the area and about no employment for anyone. One of John Drilling's friends wired money to him. He and I are going to Orlando to get some building supplies. Shoemaker is not available. I tried to contact him yesterday and got an 'out of office response' via email. He is supposed to be part of the state department also and had a scheduled trip to Egypt canceled.) John and I are not happy staying at the shelter in close quarters. They have disability lawyers here to rip people off and put people on disability but no one to plan programs or do city development - aka rent out the small storefronts or sell them and provide funding. Shoemaker was angry before about not being included. This situation is now in God's hands - I have no control of anything. John and I also walked around and saw the old textile industry areas which could be expanded, but are currently small with a clerical/office staff there only. They are here in Burlington also. There is a little more information on my Face book page. http://itg-global.com/ International Textile Group: shutdown for several years with a skeleton clerical staff. Building well Maintained. Room for expansion. 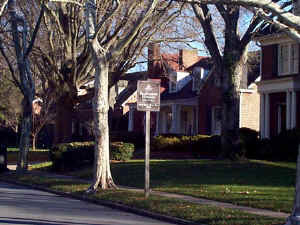 http://www.burlingtonnc.gov/index.aspx?NID=657 - a link to the historic housing district. There is also another textiles factory not far from there very close to a freight train line - on Queen Anne Blvd. Room for expansion there also - a field across the street is owned by a church with a phone number on the sign. The field is not marked a a little league field of anything similar - but is kept mowed. No one locally seems to be working on this project here - but kooks keep coming online to abuse me - and I am in a shelter with no job or money. The textiles industry here - which is still viable - was begun in 1928 - just like Sutton's drugstore - another Wooster, Ohio contact. Sutton's Drugstore is on my blogspot and Facebook page and they are in Chapel Hill, NC. I think there is a crooked "Disabilities Lawyer" or maybe a pack of wolves involved in this area also, if they are not transients.